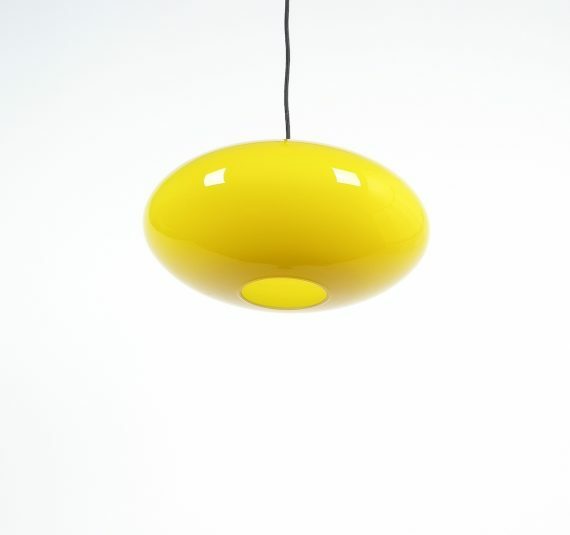 Stilnovo. 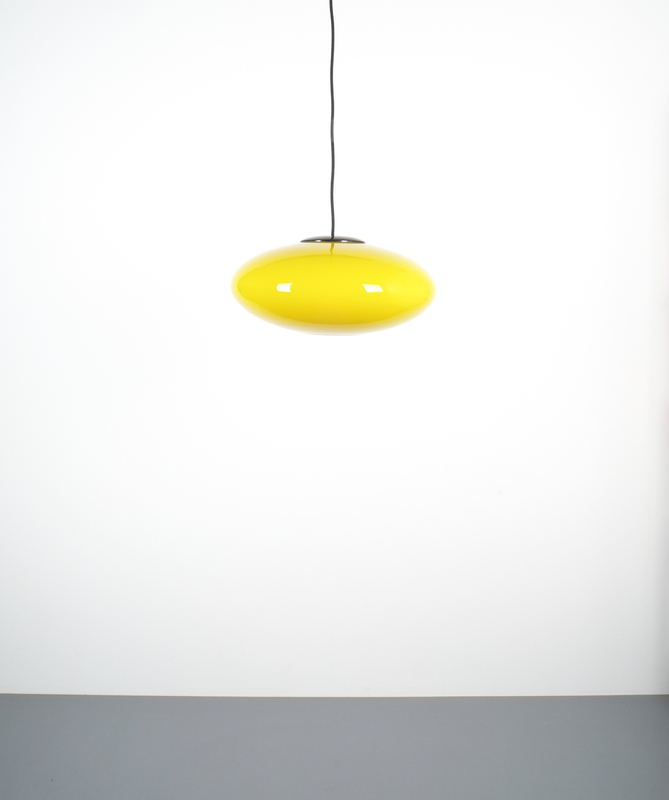 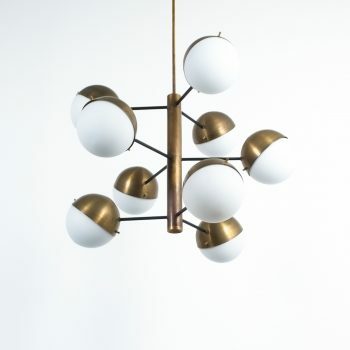 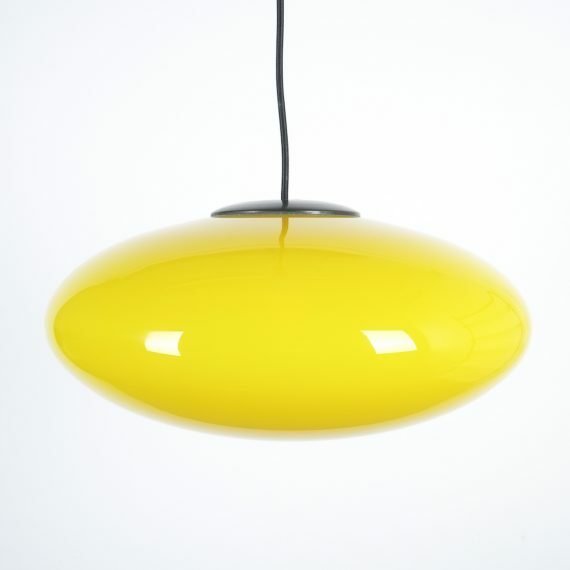 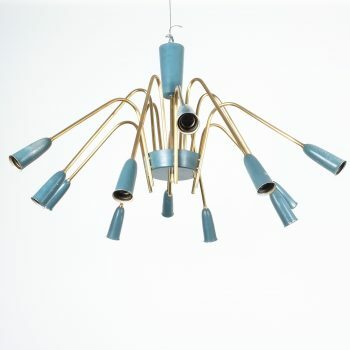 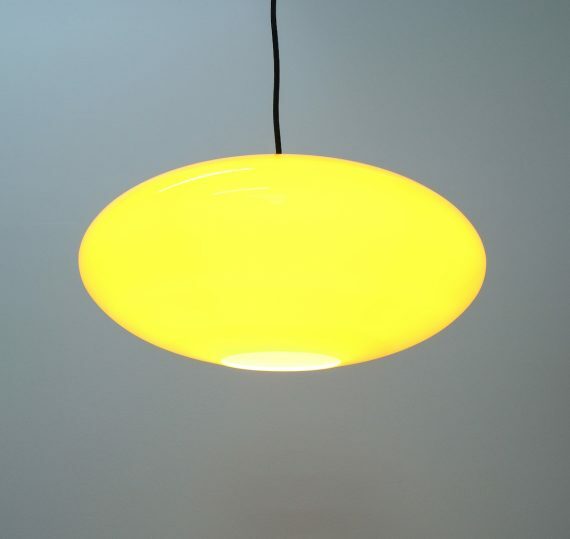 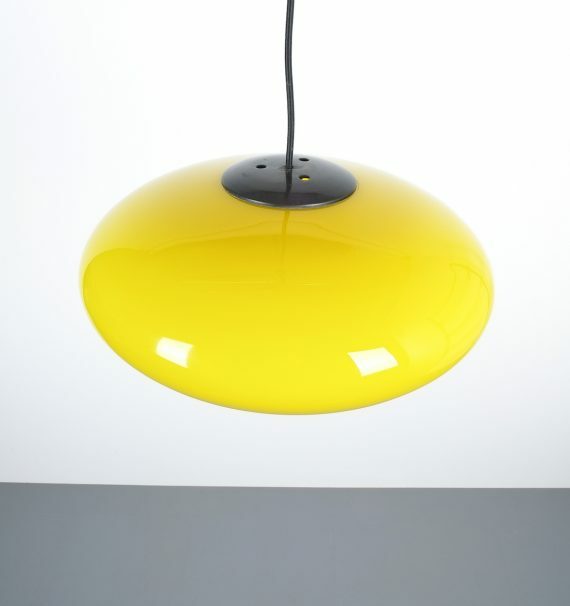 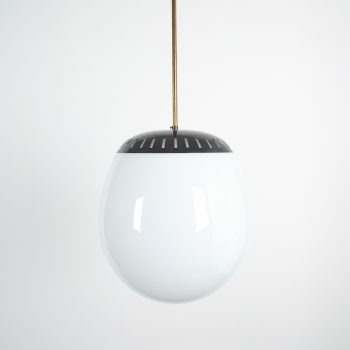 Yellow Stilnovo Glass Ball Pendant Lamp, Midcentury Italy, circa 1955. 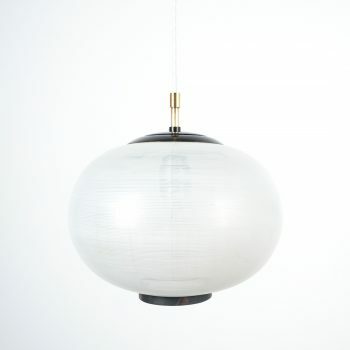 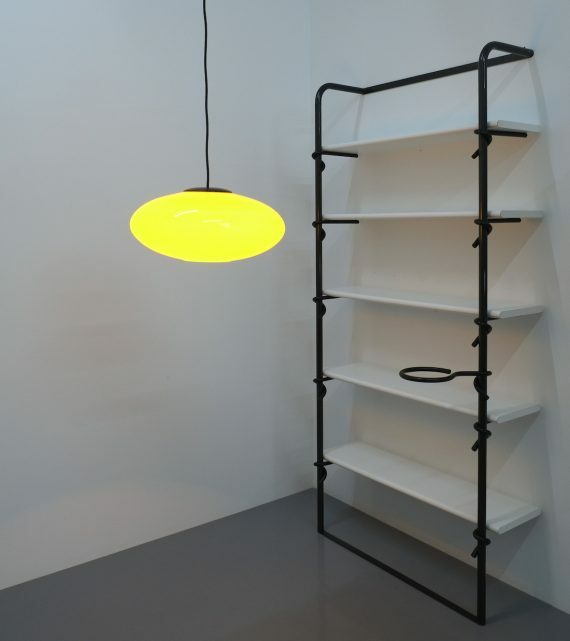 Beautiful 17″ Italian pendant light with black lacquered metal ware. 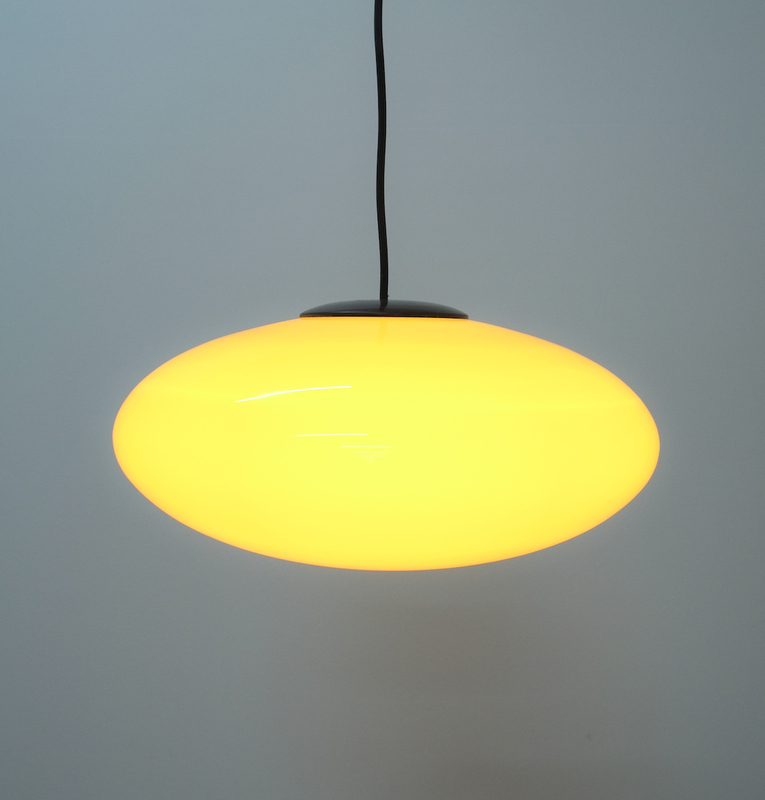 It’s in good condition with no chips to the glass shade, some wear to the original lacquer. It has been newly rewired with black cord wire. Dimensions for the shade only are 17.32″ x 9.05″.